After years of wanting to, months of planning, waiting, visa applications and what have you, the Oilholic has finally made it to China, via Shanghai’s sprawling Pudong International Airport. Before even entering the city limits, you get a sense of expansiveness, development, progress and a country in overdrive, despite Chinese economic data being less than flattering of late. It’s all capped by a general desire for getting things done, something that’s epitomised by one project in particular – the Shanghai Maglev Train, acknowledged as the world’s first commercially operated magnetic levitation line. The Americans, Brits, Germans, Swiss and Japanese, have all flirted with magnetic levitation. Birmingham and Berlin even had low-speed pilot maglev trains before being abandoned owing to costs and other permutations. That’s where China is different – they wanted it done, wanted to spend towards that need for speed and the end result is splendid. 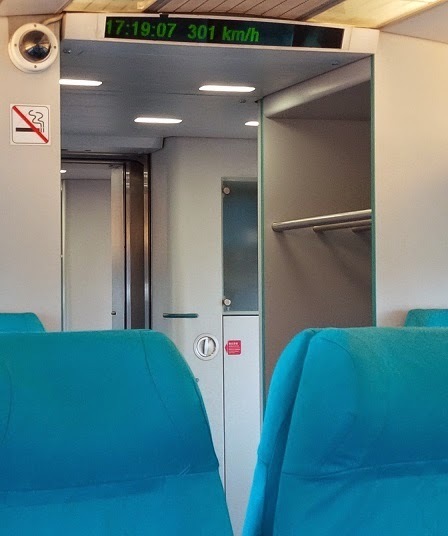 The Oilholic got from Pudong International to Longyang Road Metro Station, close to Shanghai’s financial district some 30.5km from the airport, in 8 minutes and 10 seconds at a speed of 301km/hr (see right), according to the speed indicator in one’s carriage. Had yours truly travelled earlier in the afternoon, when the Maglev does 431 km/hr, it would have taken 7 minutes, a Guinness Book World Record land speed for public transit carriage. A non-commercial scientifically monitored journey on November 12, 2003 saw the maglev hit 501km/hr. Now beat that! The need for this speed does not require the ‘crude’ stuff, but it doesn’t come cheap either. It’s almost certainly why the Brits and Germans abandoned projects after initial efforts. That sort of thing however doesn’t hold the Chinese back. This high-speed thrill ride cost US$1.33 billion to build entering commercial service in January 2004. While yours truly was indeed enjoying the thrill ride, one got an acute sense that there were more thrill seekers onboard than regular commuters. There’s a reason for that; unlike the Oilholic, not everyone likes to get off an airplane head straight to the financial district! So you still have to get on the Shanghai Metro at Longyang Road to go further, which you could have done earlier in any case since the metro line actually goes to Pudong International Airport. The tickets are pricey by local standards going at RMB85 (US$13.80, £8.50) for a return ticket and day-metro pass, RMB80 for a return and RMB50 for a single-journey. While this blogger, felt it was worth his while for the experience, the roughly 30% average carriage occupancy rate suggests that average Shanghai dwellers don’t in the main. Nonetheless, that’s not something to knock the Maglev down with. You’ll get a similar occupancy dynamic if you compared the Heathrow Express and the cheaper option of taking the London Underground’s Piccadilly Line from the airport. 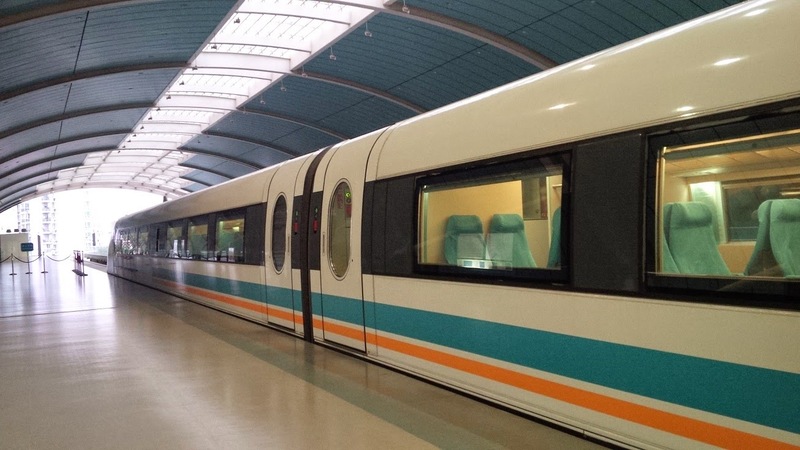 Except, that in the case of Shanghai Maglev, it’s not an express – it’s a super-cool super-express. Having used mass transit and public transport systems from 67 airports (and counting) and many rail/seaport hubs, the Oilholic can safely say nothing beats this experience; not even the TGV or Shinkansen. The initial train set was built by a joint venture of Siemens and ThyssenKrupp. Since then, under a limited technology transfer deal, the first Chinese built four-car train has also gone into service. Nonetheless, the Shanghai Maglev remains a demonstration project. Costs and other factors have delayed expansion beyond Shanghai. Most analysts and local media commentators here reckon the Pudong- Longyang Road Maglev Line will probably be it for the foreseeable future if not forever. If the Chinese reckon the Maglev is turning out to be difficult in terms of feasibility and affordability then there sure as hell isn’t much of chance for the rest of us. If that’s the case, this blogger is privileged to have ridden on the “fastest ground transport toll in the present world” to quote the Guinness Book. And whatever the economics, it’s a pretty slick train ride into town. Righty, enough of gawking and admiring a mass transit system that’s unlikely to take-off in Europe and time to get down to the dynamics of the oil & gas market. That's all for the moment from Shanghai folks! Keep reading, keep it ‘crude’! © Gaurav Sharma 2014. Photo 1 (click on images to enlarge) : Shanghai Maglev Train. Photo 2: Carriage interior at 301km/hr speed. 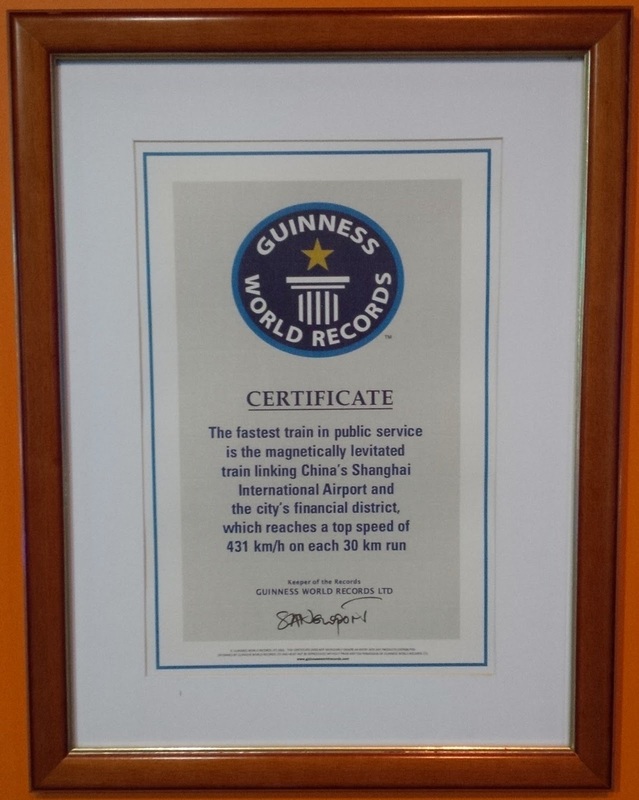 Photo 3: Shanghai Maglev's Guinness Book Record Certificate. 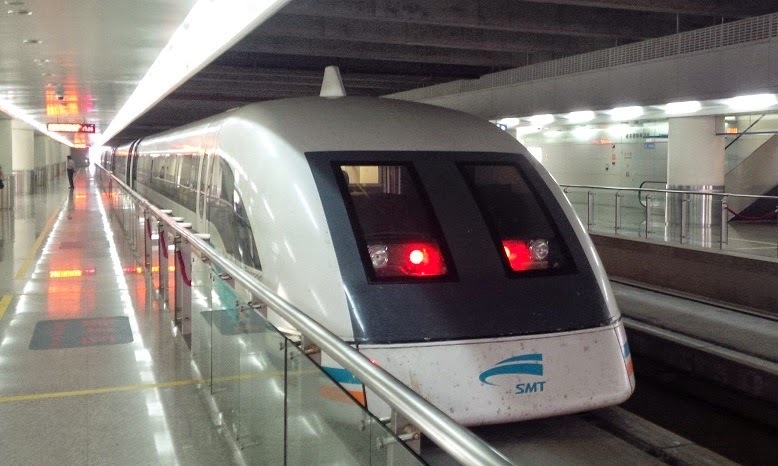 Photo 4: Shanghai Maglev Train arrives at Longyang Road Metro Station. Photo 5: Illustration of magnetic levitation technology at SMT museum, Shanghai, China © Gaurav Sharma, September 2014.